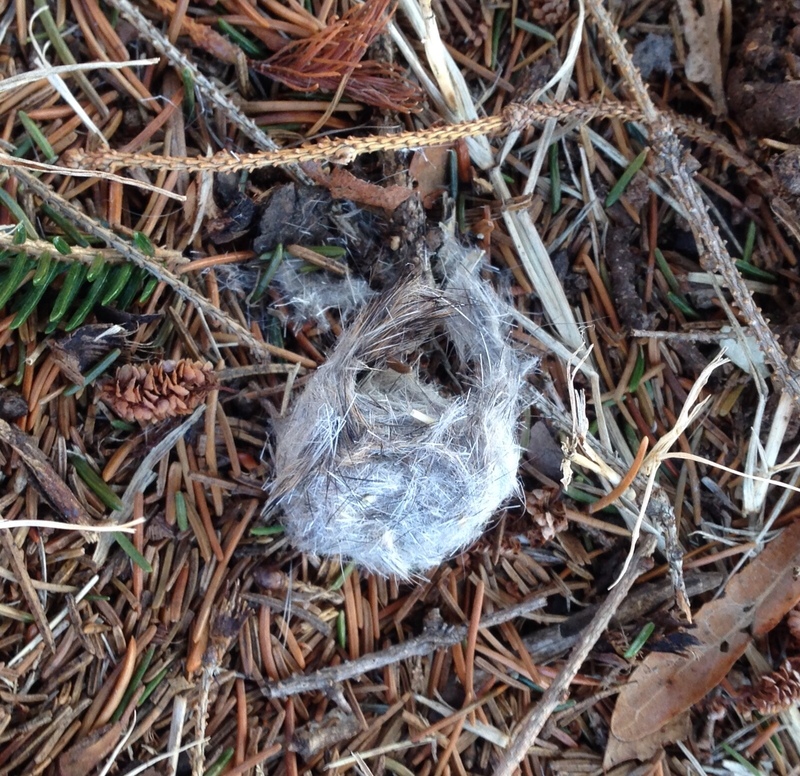 Exploring the shady underbellies of conifers this time of year can reveal some deep… uh… stuff. Yes. 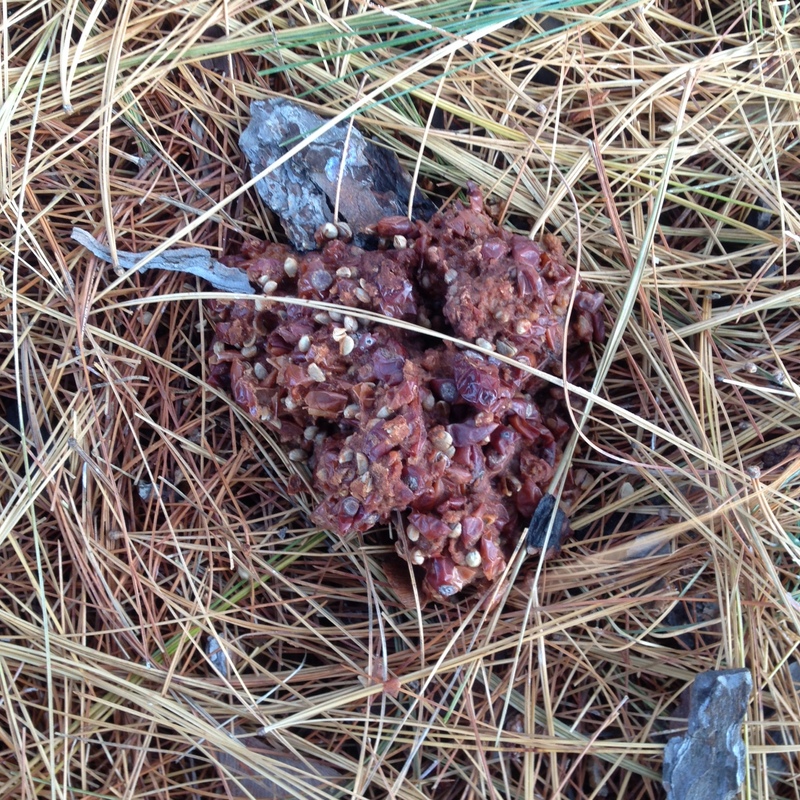 there’s quite a lot of excrement, for one thing, although that is by no means confined to the base of conifers. 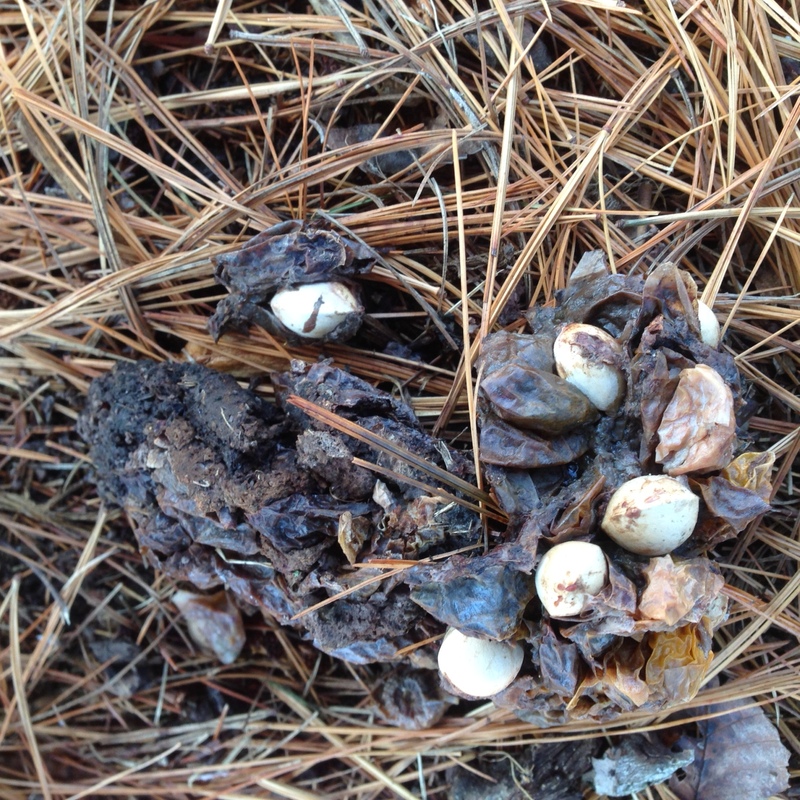 I’ll spare you pictures of the turd-like turds, but here are a couple of interesting byproducts. Not sure what fruit the above originally was, but the big white seeds of Ginkgo below are easily identifiable. The two large mammals in Green-Wood are Raccoons and Opossum. (The powers that be there seem to have eradicated all the Woodchucks, to their eternal damnation.) I think this leathery tangle was once a squirrel. Here’s another pellet. I’m not convinced it’s from an owl. 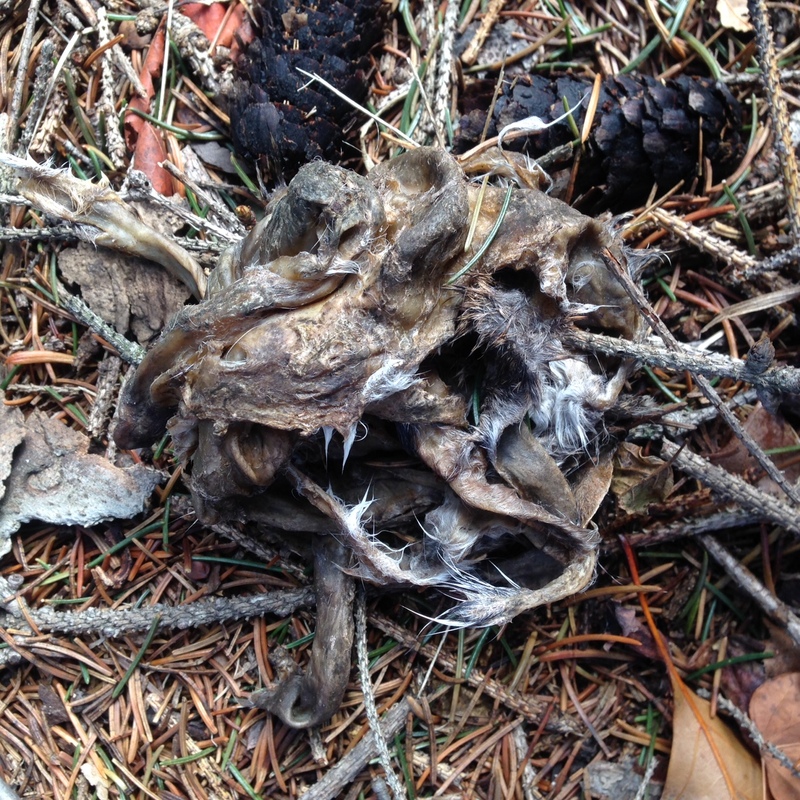 As noted here recently, owls are most famous for coughing up the undigestible parts of their meals, but so do the diurnal raptors as well. I come to this blog every day and there is always something to learn. I’m not sure it that speaks to your erudition and experience or my ignorance and lack of experience, but I figure it’s a win either way. So . . . thanks! Thank you right back! Knowing people are actually paying attention keeps me going.